Using number code color the picture accordingly. Using number code color the picture accordingly. All the number code represents colors of different shades. See the color codes and color the drawing to get the final beautiful colored picture. Color the sketch with numbers mentioned in the color. Turn the boring painting into a colorful drawing. Enjoy math coloring page by using the color codes. This activity is planned to develop basic learning skills like matching, observation, recognizing differences, counting and concentrating on detail. 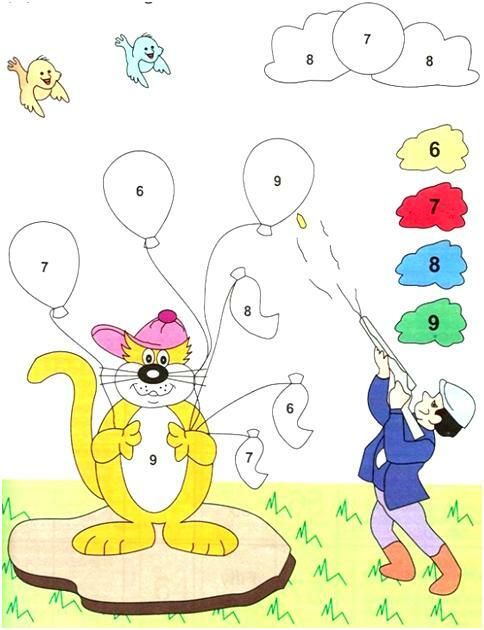 Kids have fun while enjoying math coloring pages. Math-Only-Math is based on the premise that children do not make a distinction between play and work and learn best when learning becomes play and play becomes learning.